The downward spiral of peer rental: Spain speaks up! Our Christmas gift: An all-inclusive Cruise for Two in Corsica! 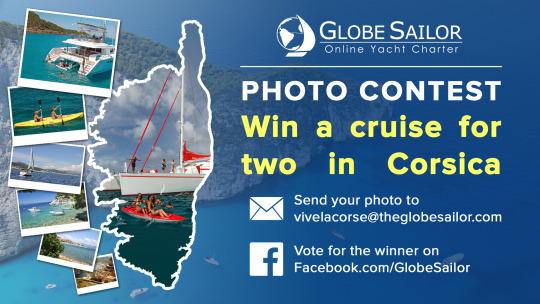 To celebrate Christmas, we decided to organize a big Photo Contest where you can win an all-inclusive week long cruise in Corsica for two people! Even if you are not a seasoned sailor, no problem, the skipper and hostess will be on board to take care of everything. The winning photo will be the the most voted photo among all versions of Facebook GlobeSailor (EN, DE, IT, ES, FR). Just send us your best cruise photo or a seascape to vivelacorse@globesailor.com. All photos will be posted on our Facebook page, the photo with the most “likes” in all versions of Facebook GlobeSailor (EN, FR, ES, DE, EN) will win. Starting June 25, 2016 from Ajaccio and return July 2, 2016 to Ajaccio. – Accommodation in a double, air-conditioned standard aor superior cabin (air conditioning from 8am to 10pm) with a private bathroom. – Cash-board (compulsory): 145 € per person to be paid in cash to the gate. To download and read the rules click here. Participation in the competition implies the unconditional acceptance of the Rules. 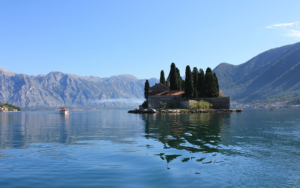 Montenegro… a forgotten jewel of the Mediterranean! Who will take the Charter Company of the Year Award? Follow our adventures on our blog and take advantage of our deals and tips !